Davey Awards, Gold Award Winner! Home | Blog | Davey Awards, Gold Award Winner! Media Contour is proud to be the winner in this year’s Davey Awards Gold in web design and promotion category! Congratulations team! 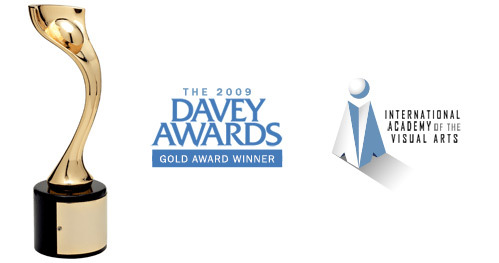 “We were once again excited to honor and recognize the amazing work submitted into this year’s Davey Awards and are humbled by the exceptional work we have grown accustomed to seeing year after year. This year’s competition saw an increasing diversified pool of entries and the high quality of work continues to push the limits of creative possibilities throughout the industry,” noted Linda Day, Executive Director of the IAVA. 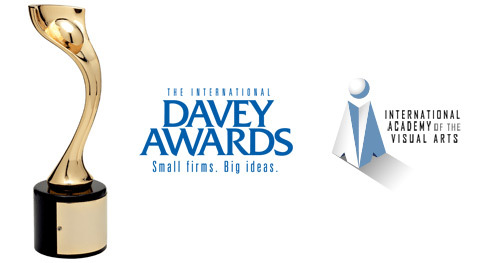 The Davey Awards is an international creative award focused exclusively on honoring outstanding creative work from the best small ﬁrms worldwide. Entries are judged to evaluate distinction in creative work. In determining Gold and Silver winners, entries are judged on their merits based on a standard of excellence as determined by the IAVA, considering the category entered. A category may have multiple Gold and Silver Winners, or may have none. Entries are scored on a ten point scale by the judges. Generally, Gold Winners receive a score of 9.0 or above and Silver Winners receive a score of 7.0 to 8.9. No more than 10% of entries will be awarded a Gold Davey. Best in Show selections are made by the Academy from the pool of Gold Winners, based on their scoring and other elements of merit as determined by the Academy. The judges will award 10 Best in Show honors, one for each medium. Please visit www.daveyawards.com for a complete list of winners.